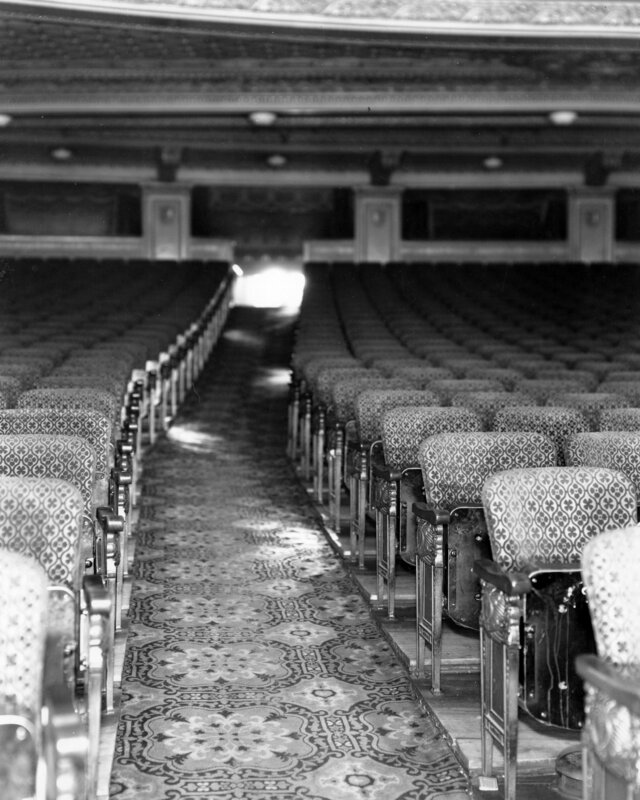 Description 23789 North center aisle of the Orpheum Theatre, Oct. 11, 1934. Shipler Comm. Photograph #28826.